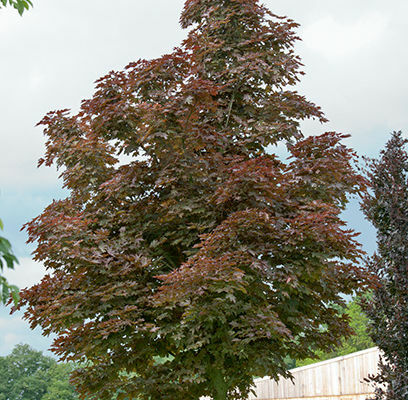 This bud sport of 'Crimson King' has an upright branching habit, with leaves closely spaced along the branches for a very dense appearance. Its slow growth makes it ideal for narrow streets and small yards. The spring foliage is a brighter red than 'Crimson King'.